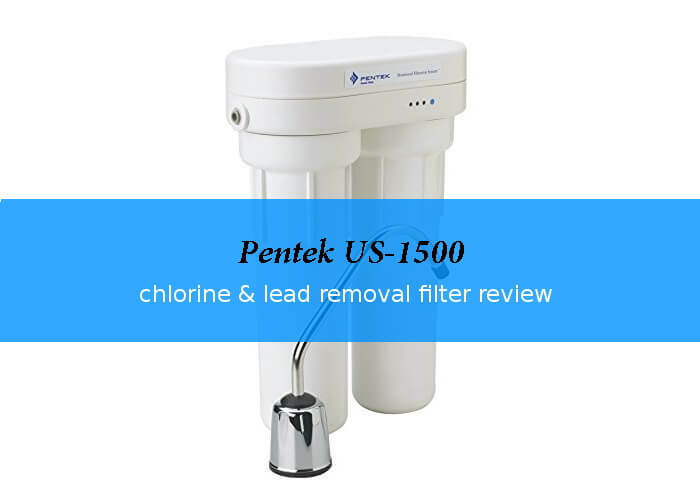 The Pentek US-1500 is tested and certified by NSF/ANSI Standards 42 & 53 and reduces taste and odor, chlorine, and particulate class I, lead, mercury, VOC, cyst, asbestos, and turbidity. 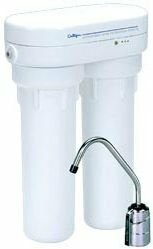 This under counter water filter system comes with an electronic monitor to let you know when it is time to change the cartridges. What I like about this monitor is, that it actually measures the amount of water that passed the filter. That means a change might be necessary only once a year depending on the amount you use and the quality of the water going into the filter. What I don't like is that the alert is audible, but combined with lights that are placed on the filter housing which is by design hidden under the sink. The solution WaterChef® came up with for their U9000 filter, to integrate the lights into the faucet, makes more sense to me. 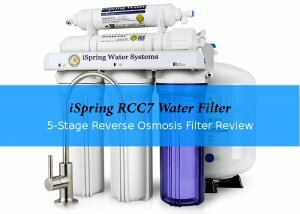 On the other hand, that system nearly costs double as much as this one and both do a good job at filtering water. The system consists or two filters in two housings that are connected to reduce the chance of leaking. That makes the combination a little bit bigger. When mounting it under the sink, keep in mind, that you would want to be able to change the cartridges at least once a year without too much effort. The included faucet only comes in one finish and the design is functional. 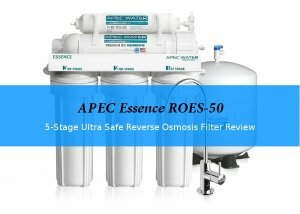 Overall this is a system in the lower price range of under sink filters with monitors. It will reduce a lot of problematic contaminants that might be present in your tab water for low price. List price of the Pentek P-250 replacement cartridge set: $29.13 or less. 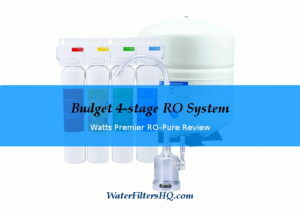 The system consists of filter system, cartridge set, mounting screws, T-adaptor, and quick-connect elbows for installation, SW-5 housing wrench, 9 volt battery for electronic monitor, a lead-free faucet, and 1/4" plastic tubing. Housing Dimensions 9.18" x4.70" x 12.72"